There are many benefits of affiliate marketing and this can help you to decide if a specific affiliate marketing opportunity is right for you. Affiliate marketing compensation can vary depending on what type of opportunity you are involved with. 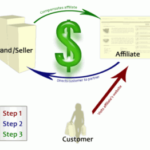 Revenue share – the product owner pays the affiliate only if the customer purchases something. You earn a percentage of anything you refer. Percentage varies from 3% to 50% normally with one notable exception that pays 100% commissions. More on that later. Pay per click – In this compensation method you are paid regardless of whether the customer buys. Google adsense is such a program but be cautious especially if you are a ad publisher. Pay per lead – In this method you are paid for every person who submits their information even if they do not purchase. Pay per impression – In this method you are paid every time the advertisement is loaded. The site visitor does not need to buy anything nor does he need to click on the ad. Great if you are the publisher but may not be if you are the affiliate. Many people have been taught to not talk about money. When it comes to a business online, this is a rule that does not apply. You should always know the compensation for any business you are involved with before you decide to take on this opportunity. If you cannot find information about compensation for an affiliate marketing business on their website, you should contact this company directly and get the answers you need about compensation. You should be leery of any business that will not provide you with straight information about compensation. There may be levels of compensation or commission that is paid out and you want to find out how much this is exactly. Many programs have payouts that can be very confusing. If you cannot make sense out of this information, or if you cannot find someone to help you understand, you may not want to participate. You should never sign up with any business if you do not know or understand exactly how you can expect to be paid. When you will be paid is another important issue. Many businesses offer payouts once per month. Some even payout bimonthly and this can be something that you inquire about. When you understand when you will be paid, you will know what to count on as you begin your new business. Many affiliate marketing businesses require little to no money to get started. This is one of the reasons that so many people take advantage of this opportunity. You can make money without a large investment and this type of business is unheard of in the physical business world. Not only will you be compensated for your work, you will also save a great deal of money by staying home. You will not have to pay for the commute to work. It can also save you money when you do not have to purchase lunch every day. 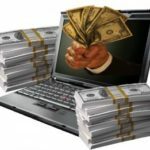 When you learn about affiliate marketing compensation you will find that there is a great benefit to getting involved with this type of business. 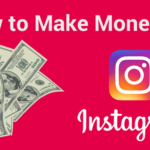 The payout for many affiliate businesses is often very fair and this can motivate you to get out there and begin promoting your affiliate opportunity.